The future of games is here, and it has a URL. Earlier this week, Google announced Project Stream via a call for beta testers. Codenamed “Yeti“, the service will allow for high-end experiences without the hardware investment. In the test period, players will be able to dive into Assassin’s Creed Odyssey. The latest in Ubisoft’s series of historical murder tours, the game launched on traditional consoles and PC just this week. Who Needs Multiplayer? : Are Online Multiplayer Games Overrated? Streaming games is nothing new. PlayStation gamers have been enjoying decade old Ben 10 titles for years thanks to PlayStation Now. Nvidia has GeForce Now, a service that streams PC games you already own to devices that may not be able to run them. However, Google’s Project Stream is the first effort that exists separate from an established gaming brand. For those who’ve only played Fortnite on their phones, this could be a step into a bigger world. 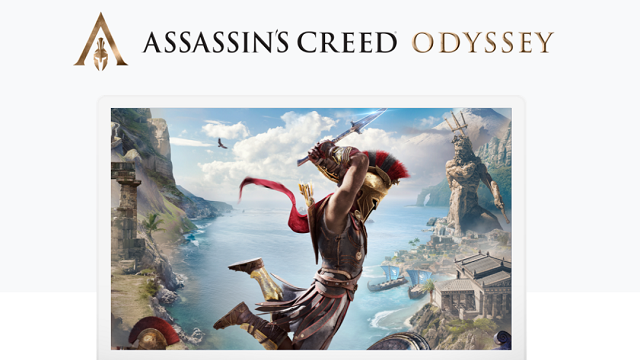 We’re excited to be teaming up with @Google for Project Stream, an exclusive test that will enable participants to play #AssassinsCreedOdyssey in Chrome! If you’d like to partake in Google’s closed beta, they’re accepting applicants on their website. Note that you’ll need a reliable Internet speed of 25 Mbps to be selected, but you can at least bring your own controller to the proceedings. Those accepted to the test will be able to play Assassin’s Creed Odyssey via the service until January. Considering what reviewers are saying about the title, I’d say that’s a pretty good deal.